Before We Live Entertainment, there was We Live Film. In 2011, Scott Menzel launched We Live Film which quickly grew from a standalone website to a YouTube channel to a podcast. Over the course of four years, We Live Film continued to grow and became a site that several film lovers would visit daily to get their film fix. The idea of We Live Film was to cover every aspect of film from reviews to film festival coverage. In mid 2015, Scott wanted to discuss other forms of entertainment but quickly realized that We Live Film was about one thing and one thing only: film. While film has always been Scott’s true passion, he wanted to have a place that he and his fellow film fanatics would be able to discuss other media forms outside of film. After months of deep thought and discussion with various staff members as well as his marketing advisor, Scott decided to keep the name We Live Film but ultimately make it part of a much bigger endeavor; We Live Entertainment. Now, instead of just living film, Scott and his colleagues can feel inspired to live tv shows, video games, books, music, broadway, and any other form of entertainment. Broken up into several mini-sites, We Live Entertainment’s primary focus is film and television but will also dabble into the world of books, music, broadway, and popular culture. We don’t want to be another website that just covers everything and anything without actually caring about the content. Instead, we want to be viewed as a site that loves entertainment and actually writes about topics that we (Scott and the staff) want to talk about or share with others. 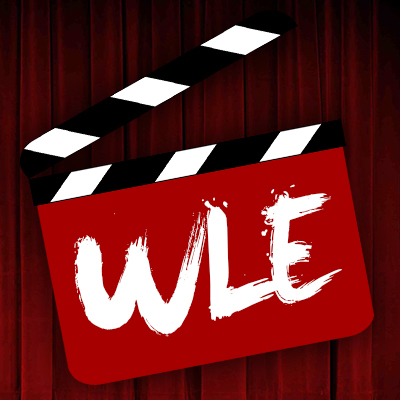 We Live Entertainment will never become a go-to source for the latest Kim Kardashian news but rather a site filled with passionate people sharing their love of all things entertainment.